Summertime in Ooty (officially known as Ootacamund), the ‘queen of hill stations’, located in Southern India, is one of the best times to visit and rejoice in the beauty of the sights and sounds of these hills. The panoramic view of gardens, green hills, waterfalls, lakes, wildlife and an altogether stunning landscape, beckon a tourist hailing from crowded, concrete cities to revel and delight in this little ‘paradise on earth’. Every nature lover and horticulturists delight, Ooty is renowned for its huge and diverse flora and fauna, including several rare species. The Rose Garden and Ooty Botanical Garden give tourists and locals alike a chance to admire and browse through this nature’s offering. While there are year round festivals celebrated due to the multi-cultural fabric of this city, most of the festivals take place during the summer. Come May and the Nilgiris spring to life with breathtaking flowers in full bloom. Various summer festivals are held during this time to showcase the beauty of this picturesque hill town. 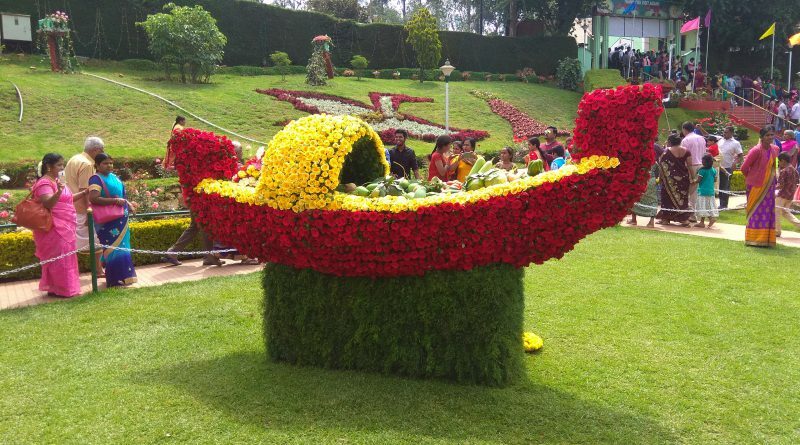 The Government Botanical Garden (GBG) and the Government Rose Garden (GRG) in Ooty have already finished preparation and are on the threshold of their annual display for this summer season. 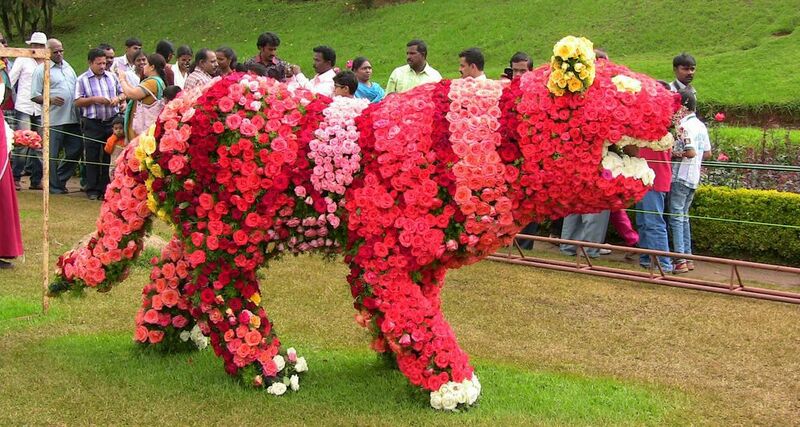 The Rose Show in Ooty will be conducted on the 12th and 13th of May 2018 at the GRG, where over 30,000 rose plants of around 4000 varieties will leave spectators spellbound. Approximately 3,00,000 flower saplings of over 150 types out of 52 varieties have been planted in the GBG for the much awaited Flower Show, which will commence on the 18th of May 2018. This will be a 3 day event which will also host a Dog Show and several stalls selling local art and handicraft items and shawls. Besides this, several other shows are organized in the Nilgiris during the summers to enhance the visiting experience for a tourist. Events like boat races and pageants, a fruit and vegetable show and the spice show just add to the fun and entertainment of tourists as well as educate them on the horticultural extravaganza of these hill towns. Festivals of their local deity are also celebrated during this time and the festivals of Thaipoosam and the Mariamman Temple are the most famous. The temples are adorned with colourful decorations and special pujas and community lunches are also held, which is a unique experience for those visiting from other places. Performances of folk dances and local dance groups add to the gaiety and give an insight into the culture of the people. Ooty during this time appears to be one big festival ground, with plenty of people visiting from all over Southern India besides other tourists. By air – The nearest domestic airport is located at Coimbatore which is about 88 kms away and well connected to several other cities. From here, one can hire a cab or board a bus to take you to Ooty. By train – The nearest railhead is at Mettupalyam, 40 kms from Ooty and has a good rail network with Chennai, Coimbatore, Mysore and Bangalore. The Nilgiri mountain train can transport passengers from here to Ooty or one can take a cab. By bus – Government as well as Private operators offer regular and luxury buses from Bangalore, Chennai, Mysore and Calicut to Ooty. You can book your bus tickets online at www.abhibus.com as AbhiBus too has regular buses plying to Ooty from all the cities mentioned above, besides Calicut.